Nine months ago I launched two new AIM indices, GROWTHfocus and INCOMEfocus. GROWTHfocus is an equal-weighted index of the largest twenty AIM-listed companies that have grown sales year-on-year for the last five years. INCOMEfocus is a similar index of companies that have increased dividends. My intention was to highlight the number of solid, successful companies on AIM and demonstrate the level of investment returns that could be achieved by purchasing shares in these firms. In a period which has seen AIM deliver some fantastic returns, both GROWTHfocus and INCOMEfocus have beaten their benchmark, the FTSE AIM All-Share index. Since beginning my review last September, AIM has advanced 28%. In the same period GROWTHfocus and INCOMEfocus are 33% and 49% higher respectively. There is more about this that pleases me than just the final numbers. The volatility of returns (commonly referred to in the fund management industry as 'risk') from INCOMEfocus was much lower than AIM, at 0.5%. While the volatility of the GROWTHfocus index was only slightly higher than AIM (0.79% versus 0.77%) much of this will have been down to the removal of Healthcare Locums from the index. Even when disaster has struck, GROWTHfocus delivered returns in as orderly a fashion as its benchmark. During the review period, INCOMEfocus recorded just 59 down days, versus 65 for AIM and 68 for GROWTHfocus. It only takes a quick look at the graph to see how smooth the returns from the INCOMEfocus index were. The performance of both indices since AIM struck bottom in March 2011 is also notable. GROWTHfocus and INCOMEfocus have moved significantly higher from that point and have avoided the declines AIM suffered since the beginning of May. In fact, INCOMEfocus has continued to move in the opposite direction to AIM. Using data provided by investment filtering service Sharelockholmes.com I have reconstituted GROWTHfocus and INCOMEfocus to reflect the latest financial results and share prices of companies listed on AIM. Cape's recently reported decline in turnover sees them leave the GROWTHfocus index. The company's planned graduation to the Main Market would have seen them leave at the next review anyway. One company that has moved up already is Lonrho, the African natural resources and agriculture investor. They left for the Main Market on April 26th. Meanwhile, laser specialist Gooch and Housego has departed due to market capitalisation considerations. Eros and Hutchison China MediTech enter GROWTHfocus as both companies have now been around long enough to make the cut. Vimto manufacturer Nichols joins them too as their recent final results now mean the company has five years of sales growth to accompany its fantastic dividend record. Share price advances at investment manager Brooks Macdonald and Advanced Medical Solutions sees the pair also join the GROWTHfocus index. Elsewhere, in the INCOMEfocus index, we say goodbye to Statpro and Personal Group Holdings. The dividend record at each company is still good but share price advances elsewhere mean they have to make way. The companies replacing them are First Derivatives (who have been an INCOMEfocus index member previously) and pawnbroker H&T Group, whose most recent dividend declaration means the company now passes the required criteria for INCOMEfocus. One company that makes the cut this time but won't the next is Education Development International. The company announced an approach had been made by Pearson and a deal was struck at 200p. Given the company's shares traded around the 10p mark in 2006, Education Development International will be remembered as one of the great AIM successes of modern times. Another company to depart AIM is Toluna. The company was taken out at a premium in April and will no longer feature in my analysis. The takeover of Education Development International has reinforced my opinion that approaches can come out of a clear blue sky. Buy-outs at healthy premia have been a recurring feature of GROWTHfocus and INCOMEfocus since inception. Although as a value investor I see share price rises as increasing the probability of declines, the appeal of growing AIM companies shows no sign of abating. GROWTHfocus comprises the twenty highest market capitalisation companies on AIM that have reported increased turnover year-on-year for the last five years. INCOMEfocus comprises the twenty largest (by market cap) companies on AIM that have paid a dividend for the last five years, never cut that dividend and are now paying out more than they were five years ago. David O'Hara owns shares in First Derivatives. 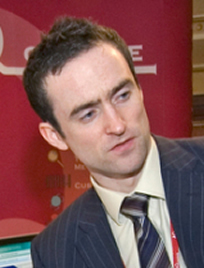 David O'Hara is an experienced private investor and founder of Blackthorn Focus, a publication and events business dedicated to the financial markets. distributed or adapted in any way without our prior consent.